A couple of years back, before rooting of an Android device had advanced to the stage it’s at now, many used to pursue the rooting of their handset without unlocking the bootloader. Nowadays, it is generally an accepted prerequisite, but in the early Nexus One era, for example, bootloaders couldn’t be "re-locked" once unlocking had taken place, so alternative methods were frequently sought. 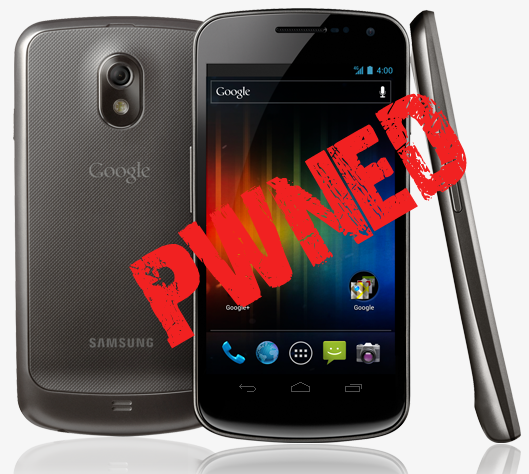 If you are in ownership of the Samsung-made Galaxy Nexus, you’ll be pleased to know that now it can also be rooted without the unlocking of the bootloader. Although one can easily lock / unlock the bootloader of the Galaxy Nexus without fuss, rooting without performing an unlock does have its advantages – the main one being it then allows a certain bootloader unlock apps can root / unlock without wiping data. The method, as per usual, arrives courtesy of the intuitive folk of XDA Developers, or specifically, member efrant, and although it does allow you to root without the unlock, it does take a great deal longer than your typical rooting method. In short, it involves pushing a couple of files onto your device, restoring a faux backup, and running an exploit (which fires up emulator mode). It’s not too difficult to follow, although given that there are quite a few steps involved, it might look somewhat intimidating. To lessen the pressure, we highly recommend one only follows the tutorial on a spare Galaxy Nexus, so if yours is indeed your daily driver, your best bet is to skip this particular tutorial in case you mess things up. The original thread, which includes all of the necessary steps for rooting without unlocking the bootloader, can be found here, and should you get stuck, there are always knowledgeable folk lurking the threads of XDA Developers waiting to help out. The Galaxy Nexus, although a somewhat ageing device, is still very popular among Android fans, and although a succeeding Nexus smartphone is expected this fall, consumers will likely reserve a place in their hearts for the solid, dual core smartphone which gave them their first taste of Ice Cream Sandwich. Let’s hope the next Nexus manages to deliver the goods as its predecessor has.